Sat., March 26, 2016, 5:05 p.m. The wheels already are spinning for the region’s 2016 bicycling season. By May, cyclists will have several organized bicycling rides or races to chose from every week well into fall. But plenty of biking activity already is underway, and some of the most popular summer events have already reached their sign-up quotas. Wednesday Night Bikes, Brews and Burgers started last week in Coeur d’Alene, sponsored by different businesses through the season. Local mountain bikers show up at a starting point posted on Facebook and pedal informally with the group before heading to Slate Creek Brewing Co. for burgers and beers. Last week the ride started at 5 p.m. from the Nettleton Gulch parking lot. Coeur d’Alene Bike Co. treated riders to burgers for the event’s Bike Season Kickoff Party. The group Bike CDA is raising the profile if bicycling in the Lake City, with a large number of bike rides and related activities organized through its Facebook page. 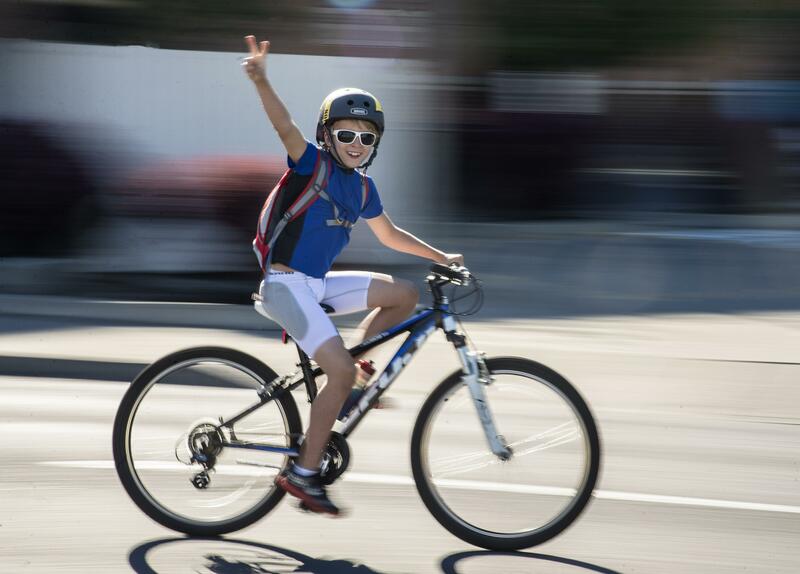 All sorts of things related to bicycling show up on the site, from local rides and trail conditions to activism in promoting bicycling-pedestrian safety. The Double Down Hoe Down freeride mountain biking event coming Thursday through next Sunday offers riders and spectators an annual rush of thrills and spills at Beacon Hill-Camp Sekani Trails. Local cycling groups, including the Spokane Bicycle Club, have started weekly evening rides after the boost afforded by Daylight Savings Time. The Spokane Bike Swap is set for April 9 – one day only this year – at Spokane County Fair and Expo Center to help cyclists buy or sell bikes on consignment as needed to upgrade or keep the right wheels underneath them. The Bike Swap is especially fitting for families trying to keep fast-growing kids in the saddle. Kids who buy used bikes get free helmets while supplies last. The Bike Swap is a money-saver for cyclists and a fundraiser for the Spokane River Centennial Trail. Find info at spokanebikeswap.com. Cycling-related clinics are regularly offered by stores, such as REI, which has free bike maintenance and mountain-biking destination programs on the upcoming schedule. Among the most comprehensive instructional offerings are the mountain biking skills classes offered at Camp Sekani by Evergreen East. Classes – the first of the year is April 16 – include sessions on fundamentals, intermediate riding and freeriding skills. Some of the classes are for women or kids only. Info: evergreeneast.org. Organized bicycle riding events start to fill the calendar throughout the Northwest in April. The Lilac Century and Family Bike Ride set for April 24 is the first big organized ride of the season in the Spokane area. Hundreds of riders will chose from routes of 15, 25, 50, 66 or 100 miles starting at Spokane Falls Community College. The Lilac Century is sponsored by Aurora Northwest Rotary, which puts on a baked potato feed at the finish. During many of the organized rides that will follow through summer and into fall, service groups or charities will offer ride support, which includes food stops and postride meals and activities in exchange for rider fees used for good causes ranging from housing the homeless to finding cures for diseases. A cyclist rarely has a week go by without an organized riding opportunity within a few hours from Spokane. More than 100 organized riding events have been compiled in the 2016 Northwest Bicycling Events Calendar at spokesman.com/outdoors. The listings have convenient hot links to more information and event registration. Bicyclists can take their time planning most of their 2016 cycling season, with help from The Spokesman-Review’s calendar. But some events are so notoriously popular, they have lotteries or meet quotas months in advance for limited numbers of slots. STOKR, the Scenic Tour of the Kootenai River on May 14-15 out of Libby, Montana, sold out its 450 openings in a lottery held at the first of March. STP, the Seattle to Portland Bicycle Classic on July 16-17, sells out the 10,000-rider limit in March. However, organizers will post information about possible openings from refunded entries starting June 1. RAMROD, the 168-mile Ride Around Mount Rainier in One Day on July 28 is limited to 800 from a lottery that closes Wednesday. RATPOD, the Ride Around the Pioneers in One Day on June 25 near Dillon, Montana, is a popular 126-mile fundraising ride that still had openings in its 650-rider quota this week. Cycle Oregon, a popular and lavishly supported camping ride, Sept. 10-17, along the Southern Oregon Coast this year, still has openings. WaCanId Ride, Sept. 12-17, also has openings for the six-day, 370-mile international tour on paved roads encircling the Selkirk Mountains of Washington, Canada and Idaho, sponsored seven Rotary Clubs on both sides of the U.S.-Canada border. Published: March 26, 2016, 5:05 p.m.